You’ve paid hundreds or even thousands for that new carpeting or rug–and now the “experts” are recommending that you spend even more to buy a pad to put underneath it. Believe them and get a good pad. It will save you money in the long run. 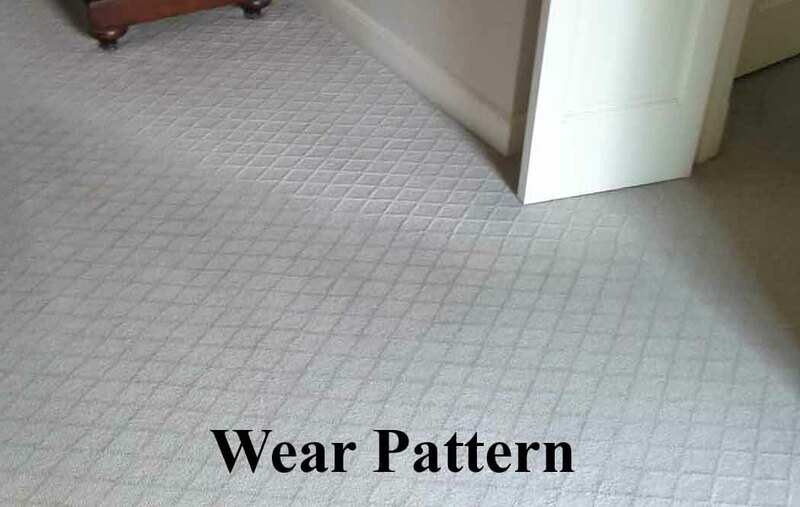 For both carpets and rugs, a good pad not only increases the comfort but it extends the life of your carpet or rug. 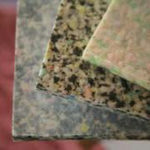 It reduces wear and tear plus pile crushing by absorbing the pressure exerted on the carpet or rug. It also allows for deeper vacuuming because it raises the rug or carpet off of the floor. 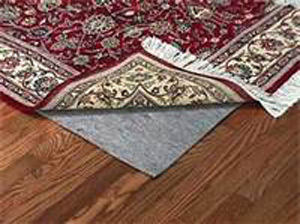 This allows the air to flow through it more easily, making it possible to remove more dirt from the rug or carpet. There are also other benefits associated with rugs. Pads can be a safety issue. No matter where the rug is placed (on carpet or hardwood or etc), a pad can keep the rug in place to prevent slips and pulls. 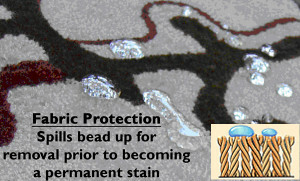 It provides protection – Very important! A pad prevents dye transfer, marring, staining, and scratching to the floor or carpeting beneath. Note: Rug pads are specific to the type of flooring underneath – if you have carpeting under your rug, make sure you purchase a rug pad made specifically for carpeting. The same goes for hard floorings. Don’t use a carpet pad for a hardwood floor – they are not made the same and will not give the comfort and protection your floor needs. What kind of pads to get. 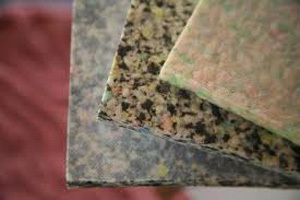 The most popular type is rebond pads which are made from scraps of high density foam. Pads come in different weights. The Carpet Cushion Council recommends a pad of 6 pounds at a minimum. However this is a minimum recommendation and a pad of 8 pounds will provide longer wear. There are also pads that have a scrim on top to prevent liquids from soaking into the pad. These pads also have anti-microbial aspects that inhibit the breeding of bacteria and associated smells. 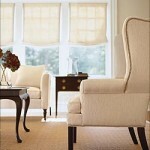 This type of padding is very good for homes with pets and small children. When people ask me what is the best thing to do to take care of their carpets (or rugs), I tell them frequent vacuuming. Based on a Proctor and Gamble Company analysis of carpet soiling in the US, about 79% of dirt in a carpet is dry particulate. The composition of this dirt is about 55% from “Tracked-In” gritty particles (like sand and fine dirt), 12% from animal fiber from people, pets and fabrics and another 12% from fibers, indoor plants, and tracked in organic material. Because most of this dirt is brought in from outside of the home, you should vacuum at least a minimum of 2 times per week. Soil Filtration is caused by positive and negative pressure within a room. What happens is, when pressure change occurs within a room from either the effect of warm air rising or your air conditioner or heater pumping air into a room, air tries to flow either in or out of the room. In the places with the dark lines, air is flowing in or out underneath the walls and the carpet along the wall edges serve as a filter. The carpet collects the dirt that is in the air and as a result the dark lines are created. Have you ever noticed a grayish or dark line underneath the door of a room? Once again, soil filtration. 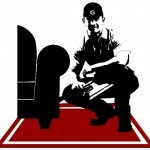 It is quite common for dirt and dust to accumulate under doors when they are shut. 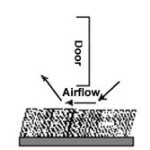 The supply air vent blowing air into the room creates positive pressure in the closed room. The air in the room will want to leave the room through the easiest paths. With the door shut, the undercut of the door is generally the largest and easiest hole for the air to escape. 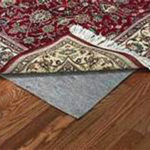 Therefore, as the air passes between the door undercut and the carpeting, the carpet will act like an air filter and grab the dirt that is in the air. The result (like described above) is a dark line appearing just under the door. The best way to prevent doorway dirt filtration is to leave the door cracked so air escapes along the edges and not under the door. Because soil filtration is a concentration of dirt particles that has occurred over time, cleaning it is extremely tough and will return after cleaning unless you can stop the air flow in these areas. 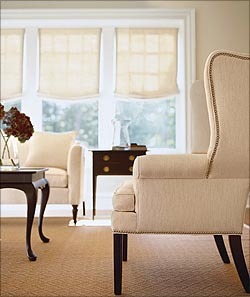 A carpet purchase is a substantial investment and I am sure you would like to get the best return on that investment. 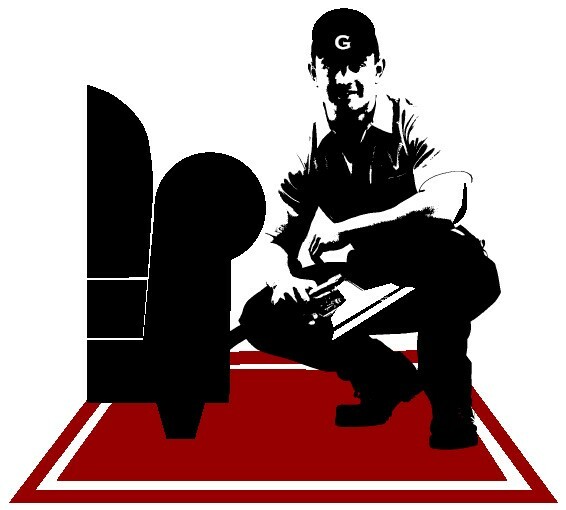 Based on my experience in the carpet care business, unless you have rental properties, I would not recommend getting cheap carpet. 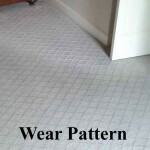 My advice for a homeowner would be a decision between a good mid-grade carpet and a high quality carpet. However, to make the proper decision, it is good to look at and evaluate your life situation. 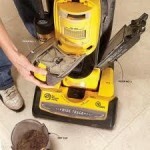 There are two big considerations with the first being the ability to vacuum regularly and frequently. 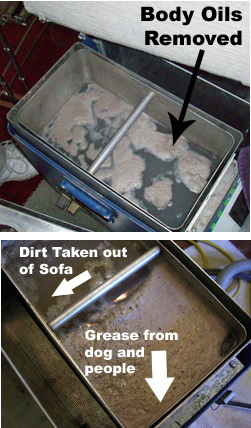 Vacuuming is very important to remove the dry particulate dirt. This dirt, if not removed through vacuuming, can act like sand paper on the carpet fibers and degrade the carpet. 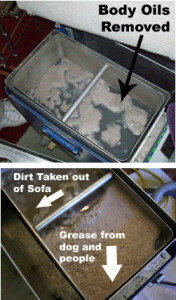 The result, a high grade carpet will ugly out before its time if you are not able to vacuum regularly and frequently. This also means that you will have to replace the carpet sooner than later. If this is the case, a more cost effective solution might be a mid-grade carpet. However, if you are able to maintain the carpet through regular vacuuming, a high grade carpet with a high fiber content could save you money because it will last much longer. The other consideration is the chance for accidents from both pets and people. If there are small children, young pets that are not house trained or old pets who are prone to accidents, you might want to consider a mid-grade carpet until the children grow up. There is nothing worse than buying a nice high quality carpet and having a permanent stain occur. In conclusion, if you are able to regularly vacuum and respond to any accidents quickly, a high quality carpet with a high fiber content should be a good investment. 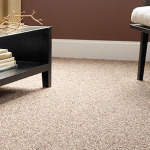 It will last longer than a mid-grade carpet and in most cases be a cost savings over a lesser grade carpet. However, if your life style does not allow the conditions above, you might consider a mid-grade carpet.